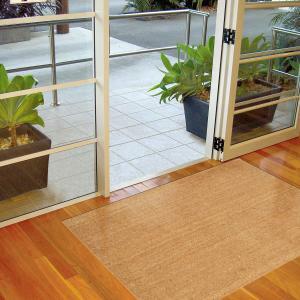 Coir mats provide a natural and efficient solution for any entrance, walkway, doorway and any other area that experiences medium traffic flow. 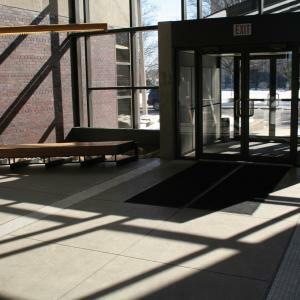 A coir doormat has many advantages but its durability, eco-friendliness and effectiveness are three of the most common reasons why this option has become so popular in commercial and industrial settings. Coir mats are the perfect answer for areas of your business that need to be kept clean and protected from dirt and grime. These mats are made out of coconut husk, which is the same material that’s used in the manufacture of sacks. This versatile material is incredibly durable and hard-wearing, making it the perfect textile for mat solutions that need to withstand daily wear and tear. The course coconut fibre is then reinforced with latex to prevent shedding. So even if you’re running a busy business with hundreds of people entering each day, you can be assured that your coir mat is going to last. Furthermore they’re incredibly absorbent and their slightly tough texturing means they can lift off dirt and moisture without any trouble, keeping your business clean and in peak physical condition. The inherent versatility of coir mats has enabled us to create a range of stunning products to solve matting issues throughout your business. 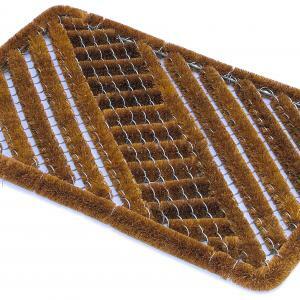 Whether you’re looking for coir door mats for outdoors or indoors, we have the right mat for you. The one unchanging factor about our coir mats is the superior quality of the material they’re made from. 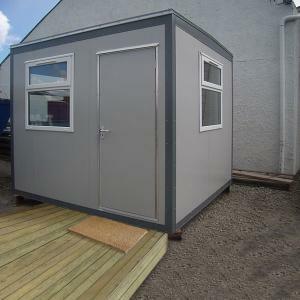 We use a variety of different materials, all of which are carefully selected to guarantee easy cleaning, high quality and durability. The placement of your mat and the nature of your business are likely to affect the particular variety of coir material that is best suited to your needs. For example, our effective Bottle Brush mat is made from extremely high quality, natural, coir fibres that provide natural absorbency making it ideal for outdoor use. And, our Coco Brush mat is made from 100% synthetic coir fibres and is punched onto a 100% polypropylene surface, making it ideal for high traffic entrance areas. Enquire About Coir Matting Today! If you’re looking for the perfect coir mat, then contact our team of knowledgeable experts today as we’d be more than happy to help you choose the most suitable option. Our staff is well trained and eager to help all of our customers find the perfect product for their needs so be sure to get in touch with us.